February 3rd in Premium Themes, Wordpress News by Wordpress Jedi . January 8th in Wordpress News by Wordpress Jedi . WordPress has made developing websites and putting them live online a whole lot easier than before. There are plenty of premium themes available on the market that allow you to go live with your website fast. In most cases, you will have to make some modifications to the underlying code of your theme to customize its look and feel. iThemes Builder Theme aims to change all that. It’s an innovative theme that lets you change the layout and look and feel of your blog fast and create a killer portal for your niche (with many options to choose from). For those of you interested, iThemes has a long e-seminar on this theme that shows you how you can take advantage of this theme. The theme is obviously not for everyone but if you are looking for a flexible theme for your not-so-certain projects, Builder Theme could come in handy. December 19th in Wordpress News, Wordpress Updates by Wordpress Jedi . November 12th in Wordpress News by Wordpress Jedi . Even if you don’t have registered users, you still want to upgrade just to be on the safe side. Make sure you do it as soon as possible to avoid becoming a victim. September 26th in Wordpress News by Wordpress Jedi . For those of your Thesis fans, you may want to take time to download your copy of Thesis 1.6 to get a head start over everyone else who doesn’t have a developer’s license. The new Thesis has improved in many areas. For starters, Thesis has got its own menu now in your dashboard. That’s one of the minor issues that I had with the theme, and the developers seem to have resolved the issue. The Design Options page is not too different from the previous version, but it’s the place to tackle if you want to change the look and feel of your blog. Custom File Editor makes it easy to further customize your theme, though you are going to make a small change to one of the files you receive in your installation kit to get it fully working. Thesis 1.6 is a decent upgrade over the previous version, and I truly believe we are reaching the “golden age” of Thesis. It can only get better from here. Thesis may be a lightweight theme, but it’s hands down the best option to go with if you want to customize and develop your own theme. Keep in mind that you can’t get Thesis 1.6 unless you have a developer license. It can only be downloaded from the developer’s interface at this point, but you can also wait a bit and get it once its released to everyone. WordPress 2.8 In Action – Should You Upgrade? June 16th in Wordpress News, Wordpress Updates by Wordpress Jedi . In case you missed it, WordPress 2.8 was released a few days ago and generated a lot of good and bad buzz on the Internet. WordPress 2.8 is another decent upgrade that brings you better theme, plugin, and content management capabilities. But I for one can tell you that it hasn’t been the easiest WordPress to upgrade to. There are a lot of incompatible plugins out there, and that could easily lead to your install breaking if you don’t deactivate these plugins before performing your upgrade. If your plugin is not on WordPress 2.8 compatibility list, there is a chance it may not be compatible with WordPress 2.8. 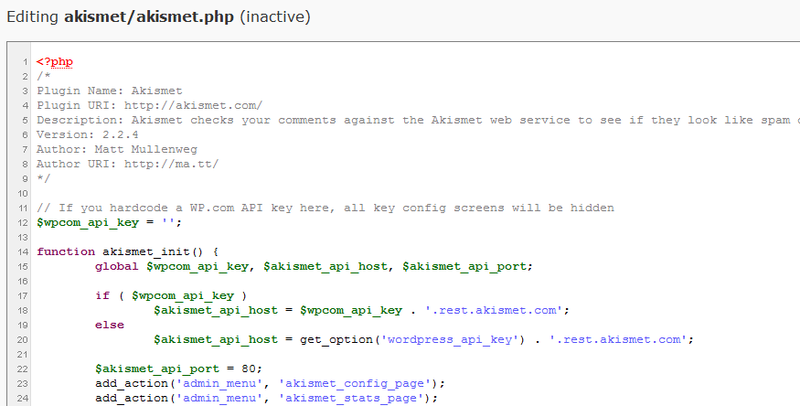 If that’s the case, you need to deactivate it before installing WordPress 2.8. The best way to go about doing is by deactivating all your plugins and activating them one by one to figure out which one’s not compatible. The same process applies to your themes as well. 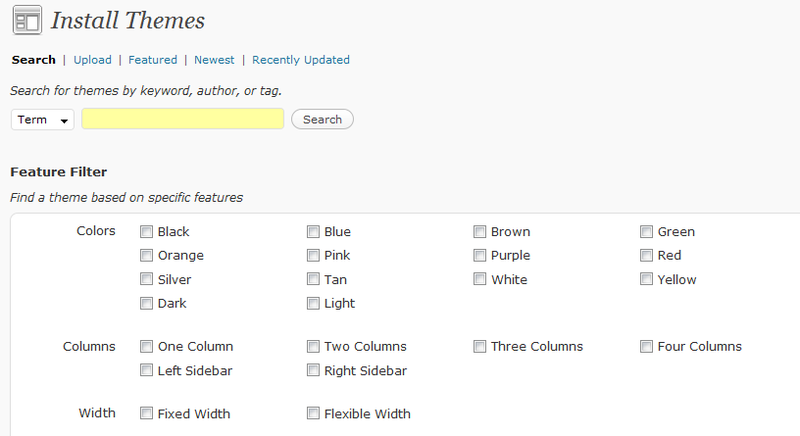 WordPress 2.8 now comes with everything you need to manage your themes more effectively. WordPress 2.7 introduced us to better plugin management capability in WordPress back-end. WordPress 2.8 now allows you to browse and manage your themes more effectively. You can use this new feature to find new themes and install them on your blog with a click of a button. What I love about this feature is that you can upload your themes too. That comes handy if you own a premium theme. The theme preview feature has also been improved to make it easier to preview all kinds of themes without you needing to activate them first. Not a big change but you can now easily change your permalink structure from your post page. You can also view your post live with a click of a button. If you are into coding or just want to go through your plugins’ or themes’ code, you are in luck. The new WP 2.8 makes it even easier to go through others’ codes and find out possible errors. The addition of color coding and function look up is a big plus. April 1st in Premium Themes, Wordpress News by Wordpress Jedi . Thesis WordPress theme is one of the most popular themes in the WordPress community. It is known for being super SEO friendly, and a lot of super-bloggers use it as a starting point for their blogs (see an example here). Thesis is an extremely clean, simple, and yet powerful theme for all bloggers and those interested in starting their very first blog. Thesis is a three column premium theme (content + 2 – column sidebar). You can modify the theme easily to have the column show on the right or left side of the content. The theme is coded in PHP + HTML + CSS, but the developers have kept SEO as their high priority. What I like about this theme is the contrast of colors in the design. Have you ever been to a blog that you really like but hurts your eyes badly every time you try to read it? That’s not what you get with Thesis. Thesis theme has a lot of real estate for ads, if you are interested in monetizing you blog. You can also customize the headers as you wish, which means you don’t have to create a blog with this theme. You can even use Thesis for your corporate site. Design: Thesis is simple and intuitive. Things are where they are supposed to be. Flexibility: there are lots of ways to customize your Thesis-based WordPress blogs. SEO: the folks behind this theme have taken time to optimize the code for search engines. Who doesn’t like free traffic? Accessibility & Usability: Thesis designers have paid extra attention to web usability and accessibility. It doesn’t take a genius to navigate through Thesis blogs. Layout: Thesis’ layout is highly customizable. You don’t have to be a coding genius to change things around. Cross-browser Compatibility: your Thesis blog is going to show up right on top browsers such as IE, Firefox, and Chrome. Lifetime Updates: Thesis comes with lifetime updates. That means you won’t have to spend a time to get your hands on updates done to this theme. Support: if you are stuck, you can always count on the folks behind Thesis to help you out. 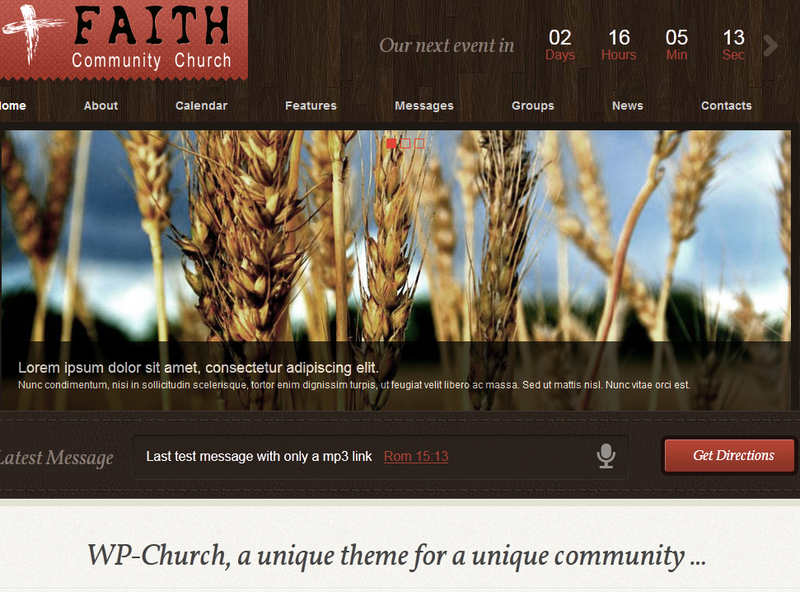 Affordable: for a such a sophisticated theme, Thesis is actually under-priced. $87 is not a lot for such a well-designed premium theme. You can get your hands on Thesis for $87 but you will have to leave the footer intact and use it on only one site. You can get a professional license for $164, but you get to use it on multiple sites, and you can remove the footer. If you are looking for a killer WordPress theme, you won’t go wrong with Thesis.